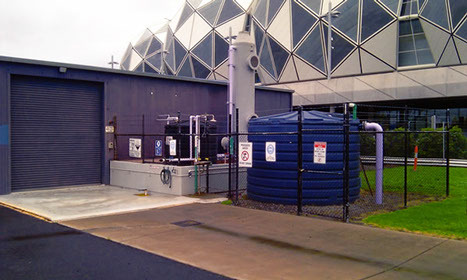 This project involved the design and construction of a groundwater treatment and recycling facility for CityLink Melbourne Ltd, which treats groundwater taken from Melbourne’s CityLink tunnel system to remove alkalinity and recycles the treated water by injecting it back into the groundwater systems in Richmond and South Melbourne. Laurie Curran Water now also maintains and operates the CityLink groundwater treatment system which includes full operation and maintenance of the treatment plant in Swan St, Richmond. The media release by Melbourne Water details the design considerations for the CityLink groundwater treatment system.